As water conservation measures continue to be implemented worldwide, the need for robust reclaimed water irrigation systems is becoming more common. However, reclaimed water generally contains high concentrations of contaminants that expedite product degradation and may lead to system failures. That's where Hunter comes in. From controllers to valves to micro irrigation components, our full suite of industry-leading reclaimed water products is built to withstand the unique wear and tear caused by non-potable water while providing unmatched irrigation efficiency and management solutions for projects of all sizes. 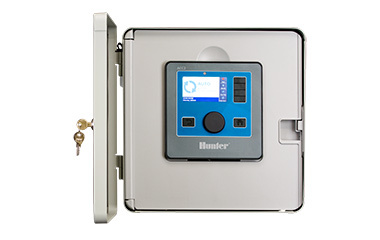 With the ability to prevent runoff with cycle and soak, decrease water windows by running multiple valves at the same time, and manage the complexity of multiple water sources, Hunter commercial controllers are uniquely qualified to offer reclaimed water management solutions. All AC-powered Hunter controller are EPA WaterSense certified when paired with a Solar Sync® sensor. Designed for durability in reclaimed water applications, Hunter rotors have large filter screens and internal water passageways to prevent non-rotation problems caused by internal contamination. A factory installed drain check valve prevents dangerous water puddling after scheduled irrigation has finished. Built to withstand rugged conditions while protecting the environment from reclaimed water leaks, the Hunter Pro-Spray® is the industry's most durable spray body. 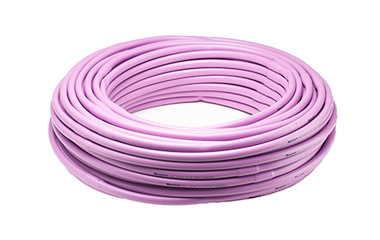 The chemical-resistant wiper seal prevents cap-to-body leaks, even if the cap is loosened, while the drain check valve eliminates the puddling of reclaimed water. Hunter's ultra-durable professional landscape dripline applies water slowly and evenly for consistent distribution with efficient, gradual soil absorption. 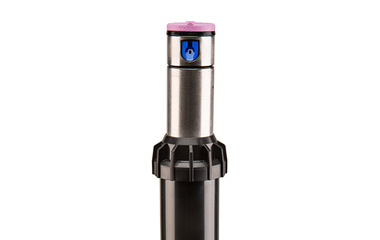 The pressure compensation system includes a built-in check valve to help prevent emitter clogging, mitigate water loss, and ensure even flows on all terrains and lateral lengths. 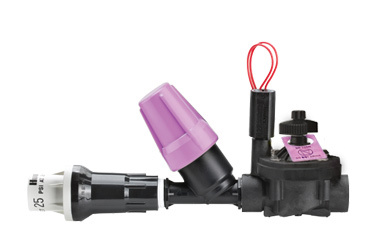 Perfect for demanding reclaimed water applications, the ICZ Drip Control Zone Kit offers the superior performance of the Hunter ICV valve with Filter Sentry, a capless purple filter bonnet, and pressure regulation that ensures a consistent 25 or 40 PSI (1.7 or 2.8 bar; 170 or 280 kPa) to accommodate drip needs in difficult environments. The ICV-R glass-filled nylon reclaimed water valve is optimized for non-potable water applications. The diaphragm is made from chlorine-resistant EPDM rubber, which significantly lengthens the valve's field life. 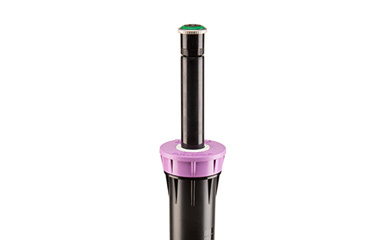 Filter Sentry® comes standard with the ICV-R.